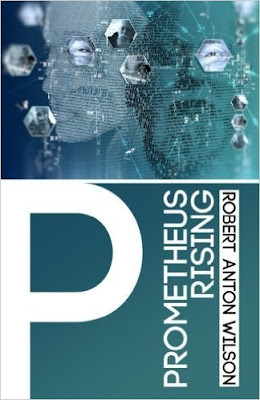 Hilaritas Press has announced that the new RAW Trust paperback edition of Prometheus Rising has been released, taking its place alongside the ebook edition released earlier. The next book to be published as a new official edition will be Quantum Psychology. 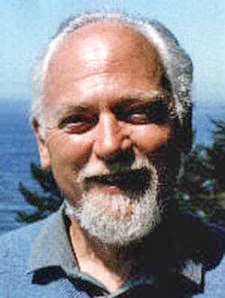 As I mentioned earlier, the new edition has a piece by Richard Rasa which explores why Robert Anton Wilson used somewhat different versions of the Eight Circuit model of consciousness in different, switching the locations of circuits 6 and 7. During that last year in Chicago I saw kids flip out, have psychotic breakdowns, have transcendent life experiences and complete cognitive paradigm shifts. I saw knife fights in the alleys, dads pointing rifles at kids, Black Panthers coming over to dinner, and prayers for the Viet Nam War to end on the lawns. I felt old; way, way old, before my time. I had a boyfriend who said “you are an old soul, I look at you and see the eyes of a thirty year-old.” I dropped him like a hot potato because I yearned for him to acknowledge the Timeless within me… I was thirteen. Thanks for passing on the announcement, Tom! I'm a bit irked at the moment. We are having a temporary issue with Amazon that may be resolved before I finish writing this comment, but it's still a pain. When we published Cosmic Trigger, and now Prometheus Rising, about a day later the "content validation team" tells us the book is already published and so they have to "suppress" it until we can prove that we own the copyrights. In the case of Cosmic Trigger, I shot them off a quick email explaining the situation and they fairly quickly responding by agreeing, and then they reinstated the book. Before we published Prometheus Rising I wrote to the validation team, hoping to avoid the same issue. They wrote back and said they would update their records, and thanked me for letting them know. Apparently that didn't take. The book was up for sale on Amazon for about 24 hours, and then the validation team "discovered" it, didn't look at the email they had written to me just days before, and they suppressed it, sending us their normal form letter. I have since emailed them back, including a copy of their letter from last week, and I've also called the closest tech support person I could get that was close to the validation team (apparently the validation team can't talk on the phone). The nice support guy I spoke with also could not call them, but he was kind enough to send them a priority email about the situation. In any case, if any of you get to the Amazon sales page for Prometheus Rising and find it says, "Out of Print--Limited Availability," just wait a while. It should be back up soon! Sorry for any inconvenience! Amazon is behaving the way I expect them to, and last I heard, Barnes & Noble didn't have the books at all. But never ascribe to conspiracy what is adequately explained by incompetence. I just checked Amazon (6:49 am PDT) and there are now *two* editions of the Kindle version but no RAW Trust pbk. BTW, since RAW Trust now owns the copyright shouldn't Amazon stop listing the New Falcon version? Used and back stock copies of the NF version sold by Amazon third party sellers should still be ok. I wish I knew somebody at Amazon who can fix this. Thanks for all the concern! I was told yesterday that all would be corrected, and this morning I got an email that says, "Thank you for your response. Based on the information you provided, this content will remain live and available for sale. No further action is required on your part." However the book was still not up, so I'm on the phone with them again (on hold as I write this comment). Hopefully it will be live again!! As for the New Falcon books, we can't stop Amazon listing the old version as long as there are copies for sale from resellers. New Falcon is not allowed to sell any RAW titles any longer. If you get a clue that they are doing so, let us know! BTW, Prometheus Rising is my favorite RAW book and I was so thrilled to be able to fix up graphics (as much as was possible) and correct so many old typos. 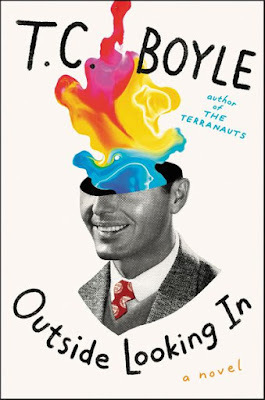 I love Amoeba's new cover, and the opportunity to write a new Afterword for the book was an edifying task that I hope will encourage people to look at Bob's work with a discerning eye, realizing that, for Bob, all of his efforts were a work-in-progress, and as Bob said, "'reality' is always plural and mutable." And . . . the good news, while I was writing this comment, Amazon put the book back up!